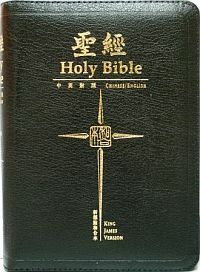 Holy Bible (Chinese/English) Union and Kings James Version. Trim Size. Leather Zippered Pocket.